Most the travellers headed to Sri Lanka stay at least one day in Negombo as it is the nearest beach city to the Bandaranaike International airport. It is not my favourite Sri Lankan city, even though, I recognize the fact that there are some interesting things to do also there. Among them, the Hamilton Canal running through the urban area came to my attention that day while I was walking towards St. Mary’s Church of Negombo. It was commonly known among the locals as Dutch Canal and it was nothing more than a long waterway connecting Puttalam to Colombo. Its history started back in the 15th century when the King Veera Parakramabahu VIII began the constructions of the canal systems to more easily transport goods to his kingdom’s main seaports Negombo and Colombo. Then later around the 18th century, it has been developed by the Dutch who enhanced the old system because beside of using it for transportation, wanted also to siphon out salt water from the fields. Between 1802 and 1804, when Sri Lanka was under the British, Garvin Hamilton, British Agent of Revenue and Commerce conceived a new Colombo-Negombo canal: Hamilton Canal , a 14.5 km of watercourse which run west of the old Dutch Canal, quite close to the sea, from the mouth of the Kelani Ganga at Hekitta to the southern edge of the Negombo Lagoon. 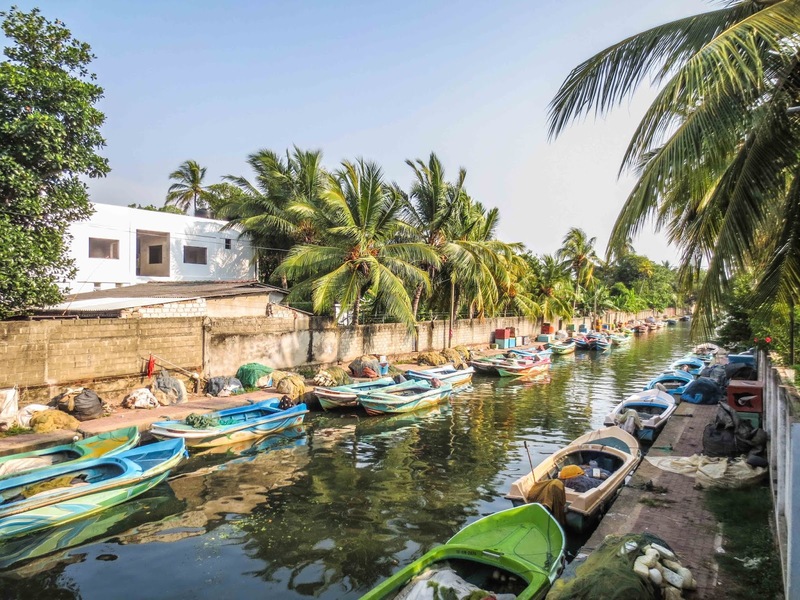 Nowadays there is a refurbishing project of the Hamilton Canal; the first stages of this wonderful initiative has already covered not only the distance from the Kelani Ganga to Negombo Lagoon, but also the nine-kilometre stretch from Negombo town to the Maha Oya. Its history remained certainly something very interesting and it was fascinating to see how the past was still alive since our days. A walk along the canal, especially in the Negombo area, was really curious; fishermen houses and lovely tropical gardens located along the waterways and their boats parked on the canal gave a particular atmosphere but more than anything else which captured even more our attention was seeing the daily life around the canal. Some were cleaning their boats, others were engaged in “sambrani Poojas” (a religious ritual of purifying and perfuming with charcoal and incense) others weaving the fishing nets and so on and on. There were also boat trips available for tourists, sadly we didn’t take one and in the aftermath we regretted it because it would have been an amazing experience. We highly recommend the canal-lagoon tour during the sunset. 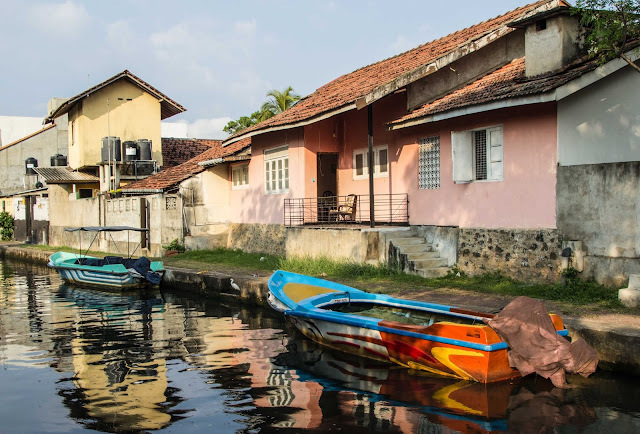 We were wondering if someday a passenger boats from Colombo could sail up to Puttalam so that travellers can arrive in Negombo and other tourist destination along the canal by boat instead by road. 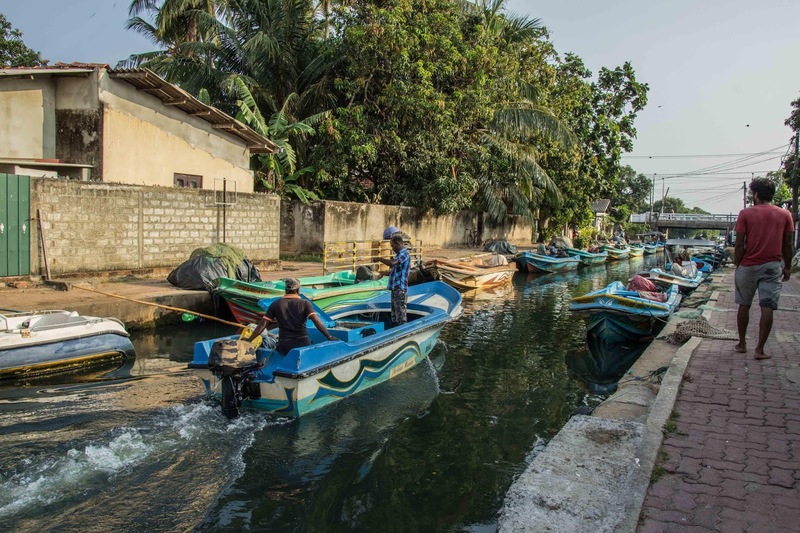 This project seemed to us not budgeted since the bridges on the canal were very low and they allowed only small fishing boats. 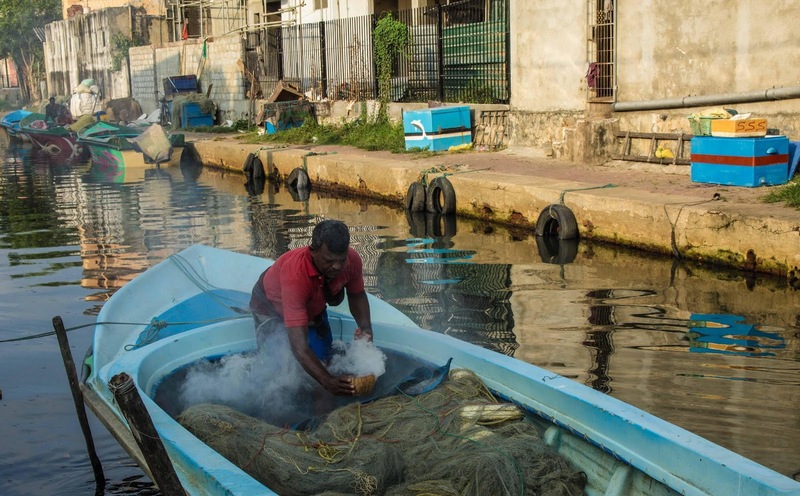 After having said this we would like to point out two negative things of Sri Lanka which affected negatively also the Hamilton Canal: 1) Sri Lankans had a very bad habit to dump their garbage everywhere; it seemed to us that they had a special preference for any kind of water spots. So, it is useless to hide that also the Hamilton Canal was highly polluted with plastics and any other unimaginable things. 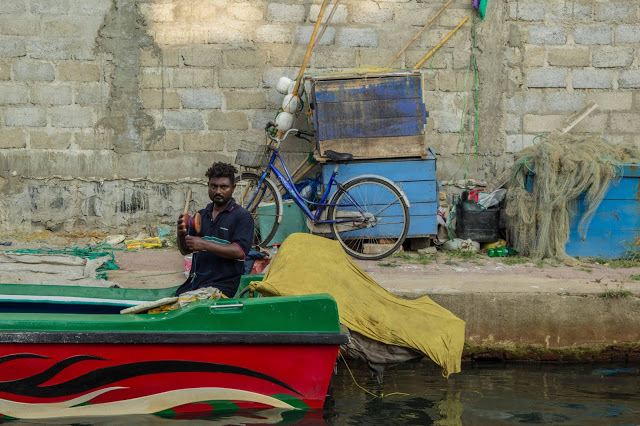 By one side, It was great to see that Sri Lanka had maintained the canal for so much of years and still makes use of it; by the other side, it was inacceptable seeing all that trash thrown out in the water. We would have liked to understand why they polluted their own environment like that. Was it a lack of environmental education or it was the Government that was not providing a proper disposal? 2) Sri Lankas had no culture to take care of the back sides, they embellished the front sides but abandon which in their opinion the non-seen area. Based on this theory, the back side of their houses which faced on the canal was unattractive and this was really disapointing! Many European cities that have canal systems exploit it in many ways such as for example on board dinners and aperitifs, floating dorms or even on board disco. Hamilton Canal was a very big potential and as such, needed a different maintenance. I’ve never been to Sri Lanka. I liked that you’ve focused on environmental issues and not your typical touristy things. Hi this is Niry, the one behind this blog! I'm a Jaffna born, Modena-based travel blogger, content creator and photographer. Thank you for spending your precious time with me today!!! Get €15.00 for your hotel reservations on Booking.com! Buy our photos for your editings just right now! © Me With My Suitcase. Design by FCD.